In the other match of the night, Gujarat Fortunegiants edged past UP Yoddha 37-32. 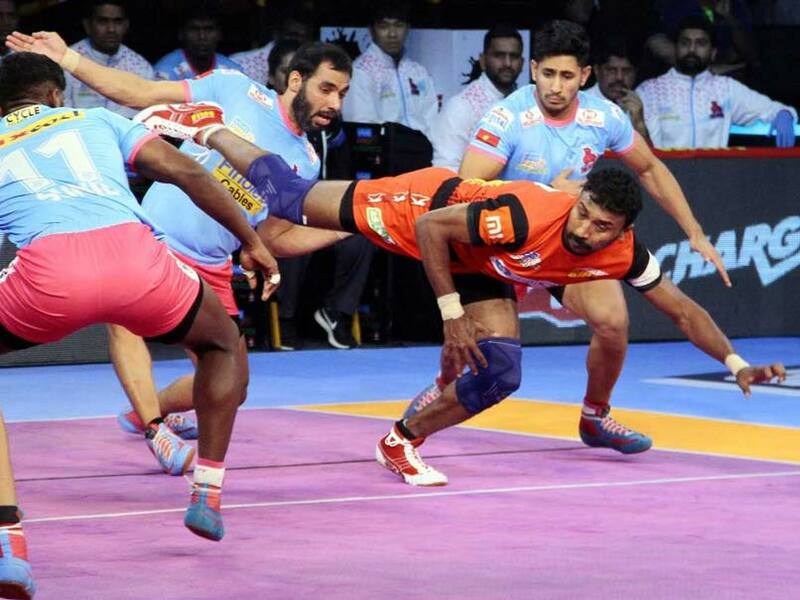 Riding on Pawan Sehrawat's terrific performance, Bengaluru Bulls registered a convincing 45-32 win over Jaipur Pink Panthers in Inter Zone Challenge Week of Pro Kabaddi League on Sunday. Sehrawat scored 19 points and two super raids by Rohit Kumar and Kashiling Adake laid the foundations for Bengaluru's victory. In the other match of the night, Gujarat Fortunegiants edged past UP Yoddha 37-32. For Gujarat Fortunegiants, Sachin scored eight raid points, while Sunil Kumar got five tackle points. For UP Yoddha, Shrikant Jadhav was their star raider, with 11 points and Nitesh Kumar got five tackle points. Earlier in the first match of the day, Jaipur Pink Panthers lost their momentum after a strong start with Deepak Niwas Hooda getting a super 10. The first half saw both teams match each other's stride for stride. There was little to choose from as in the 5th minute Deepak Niwas Hooda got a raid point to level it at 4-4. The next couple of minutes saw Jaipur Pink Panthers put the pressure on Bengaluru Bulls by opening up a six-point gap. An all out was inflicted by Jaipur in the 9th minute as they led 11-5. Bengaluru Bulls were jolted out of their stupor after the all out. Kashiling Adake made a brilliant super raid in the 13th minute as he scored four points to reduce the gap to just three points. Bengaluru Bulls took the lead in the 16th minute as they inflicted an all out. At the end of the first half, Bengaluru Bulls trailed 18-17. The second half saw Bengaluru Bulls switch gears. First Rohit Kumar produced a super raid in the 22nd minute. Pawan Sehrawat's two-point raid in the 24th minute led to another all out on Jaipur Pink Panthers. 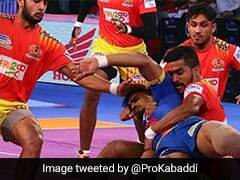 Jaipur tried to make a comeback in the match but Pawan Sehrawat had other plans in mind. Sehrawat got a super 10 in the 31st minute and followed it up a couple of more successful raids. Deepak Niwas Hooda did his best to get points for Jaipur and achieved a super 10. But it was a little too late as Pawan Sehrawat continued to plunder points to lead Bengaluru Bulls to a win.